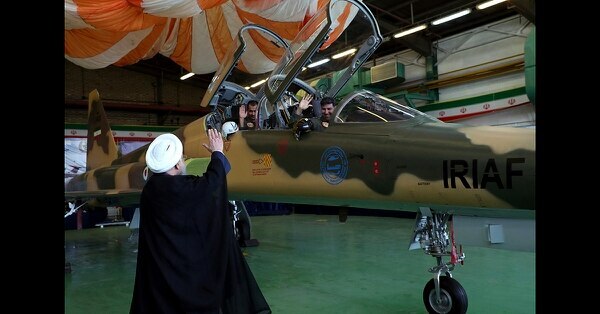 TEHRAN, Iran — Iran displayed a new twin-seat fighter jet Tuesday, saying it’s all Iranian-made and with advanced avionics and fire control systems. The country’s president said it would enhance Tehran’s deterrence capabilities in confronting Washington. State television showed President Hassan Rouhani briefly sitting in the plane's cockpit inside a hangar just before the inauguration ceremony. He responded to President Trump's warning that Iran will “suffer consequences” for threats. The aircraft is dubbed Kowsar, which refers to a river in paradise and is also the title of a chapter in the Muslim holy book, the Quran. At the ceremony, Rouhani said Iran's defense program is aimed at deterrence vis-a-vis the United States. The U.S. renewed its sanctions on Iran earlier this month after President Donald Trump in May pulled America out of the nuclear deal between Iran and world powers. The TV also broadcast footage it said showed the jet in flight. 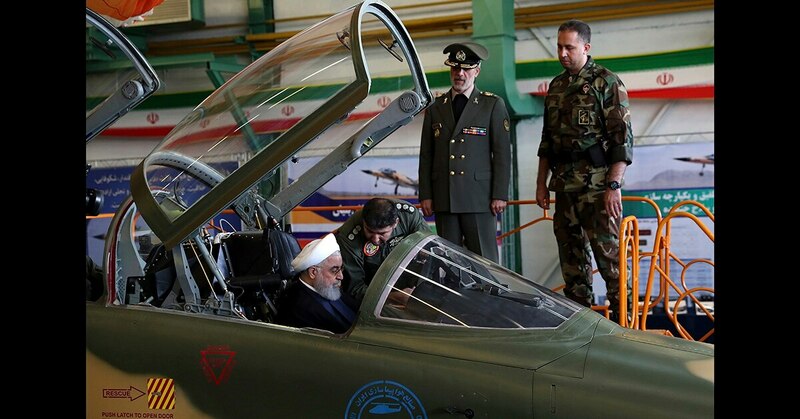 Iran already has U.S.-made F-4, F-5 as well as F-14 fighter jets and also Russian-made Sukhoi aircraft in service. The Islamic Republic often announces military achievements that cannot be independently verified.